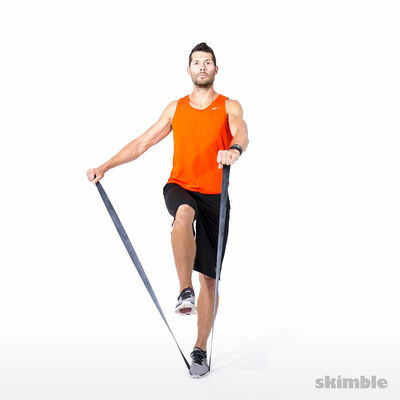 Stand on a resistance band with handles in hand. 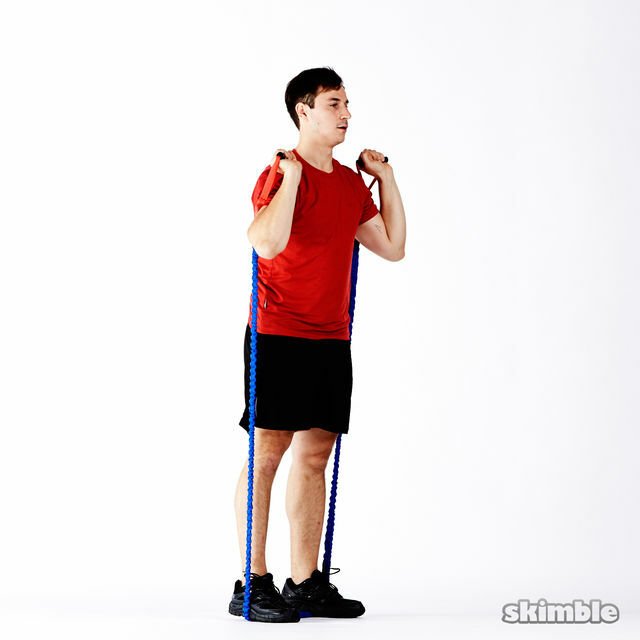 Bring the handles up to your shoulders making sure the band lies on the back of your arms. 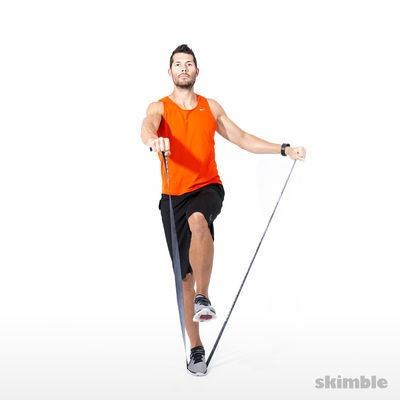 Perform a squat as you simultaneously press the handles over head. 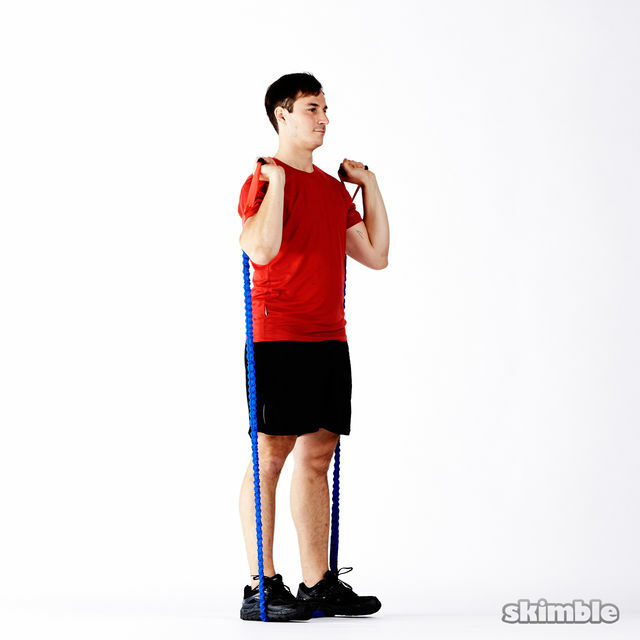 Lower the handles back to your shoulders as you stand up.